Recently, microphones have rapidly evolved from an ordinary microphone to an advanced version that has greatly embraced the new technology. Nowadays, you can easily achieve new standards of quality and best sound, using either the Sennheiser e865 or e965 microphones. 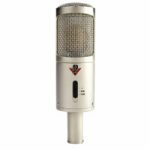 They have been rated to be one of the best vocal microphones since they have been engineered using the best quality condenser microphone technology. You can learn more about these two microphones using this product review and choose the microphone that perfectly fits your objectives and intention of use. The e865 is a high standard and fully professional vocal microphone with amazing features to enable you achieve sweet, smooth sound. 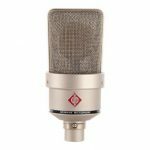 The manufacturers have worked hard to ensure that one can achieve the best sound with high quality standards by utilizing and including all the best features in condenser microphone technology. In addition, the diaphragm has been protected from excessive sound pressure levels since the microphone capsule includes a blast protection plate. The e865 vocal microphone also comes with a refined steel and a sound inlet basket. 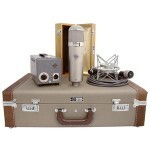 The delivery includes a pouch, microphone clip and the e865. 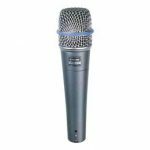 In case you are a singer, you will not have any problem holding the e865 for long periods of performance time since it is designed in a pretty solid design that comes with a weight less than 1 lb. to avoid being bulky. 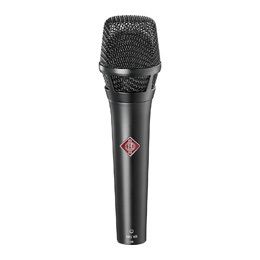 It would be appropriate to say that the e865 is a super microphone for using on the stage simply because it is packed with smoothness, clarity, presence and power. This stage condenser vocal microphone will send your voice into another realm since it is an excellent dynamic microphone engineered to achieve the best quality vocals. The Sennheiser e965 large-diaphragm stage condenser vocal microphone comes with 40Hz-20 kHz frequency response, 10Db Pad, low-cut switch, super cardioid pickup and switchable cardioid patterns. Therefore, this rugged handled condenser includes two pickup patterns. 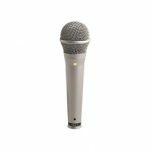 In addition, the e965 incorporates an innovative dual-diaphragm capsule hence making it a true condenser-handled microphone with a large diaphragm. Plus, you can be assured of enjoying Sennheiser’s proven stage ruggedness and the sensitivity you would expect from the best quality studio condenser microphone when you use the e965. You will also get an excellent 40Hz-20 kHz frequency response using this microphone. On the other hand, to assist in eliminating wind noise and rumble, this microphone features a 10Db pad and a low-cut switch. You will get the real value of your money when you purchase the e965 microphone since it has been individually handmade in Germany and also comes with a 10-year warranty. In addition, you will experience the ruggedness of this stage vocal condenser microphone and the signature sensitivity associated with studio condenser microphones, when you step on the stage to perform using the Sennheiser e965. You can easily switch the pickup for the applications given that the e965 connects you with two different polar patterns (supercardioid and cardioid). When you have a quick glance at the two Sennheiser microphones, you will easily assume that they resemble each other’s features. However, you should take note that they have a few differences, hence some of their features aren’t alike. For example, the e965 includes a dual-diaphragm with switchable pick-up patterns (supercardioid and cardioid). On the other hand, the microphones also share some similar features like both feature frequency response of 40Hz-20 kHz. Therefore, it is advisable that you go through the product qualities and features to ensure that you choose the Sennheiser stage condenser vocal microphone that perfectly meets your needs. 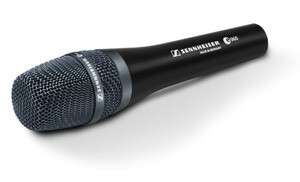 Click here to purchase Sennheiser e865 on Amazon! 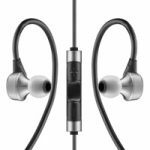 Click here to purchase Sennheiser e965 on Amazon!